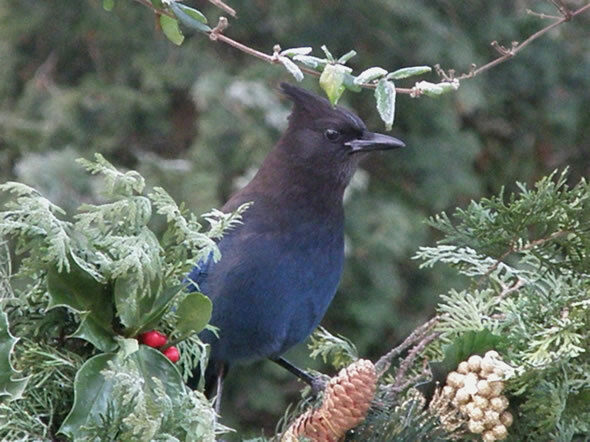 A Steller's Jay in a frosty Christmas decoration brings Season's Greetings to all! Which animal has no head, mouth, eyes, feelers, bones, heart, lungs nor brain, yet is still alive.? 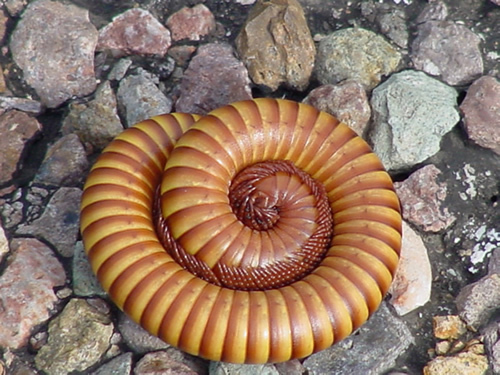 What do you think this strange, rather interesting-looking thing is? 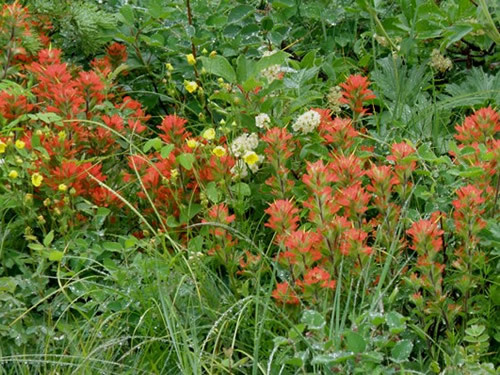 Our monthly page is a great selection of wildflowers of Waterton National Park in Alberta. 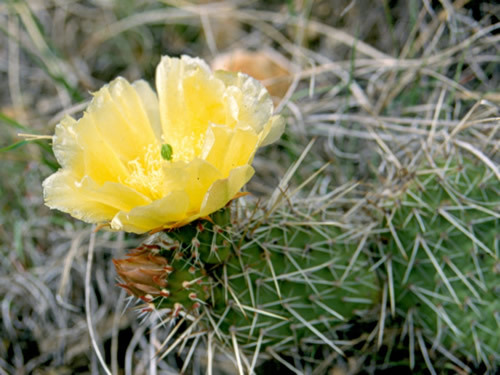 You can also view the flowers as a slide show. Visit the page here. 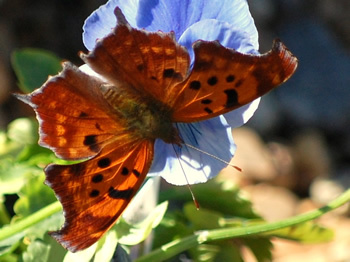 Dennis Coop of Sherwood, Arkansas, sent in these two fantastic butterfly photographs. 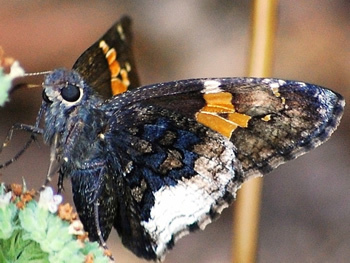 One the left, a Hoary Edge, Achalarus lyciades, and on the right a Question Mark butterfly, Polygonia interrogationis. 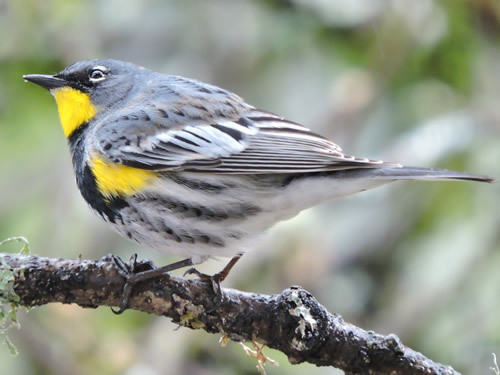 Bob Arsenault of Toronto spotted this well-hidden unidentified bird. 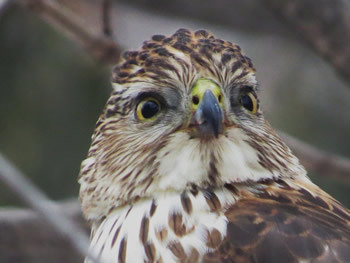 Tony, also from Toronto, captured this great close up of a Cooper's Hawk. 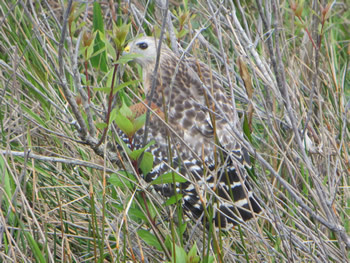 Here's another well-hidden bird spotted by Herman. 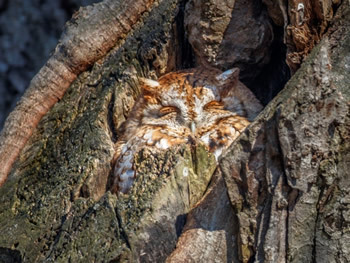 It's a Screech Owl all tucked away. What a great photo! 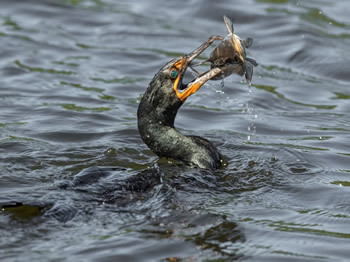 Many thanks to Dennis, Bob, Tony and Herman for some great images. 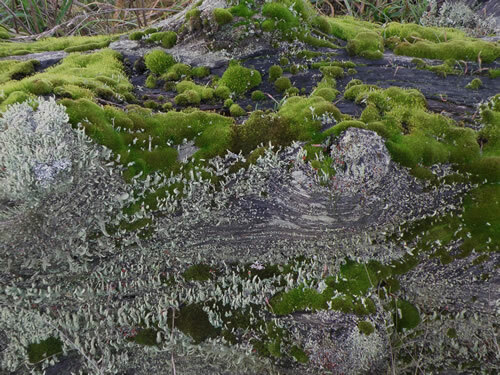 A moss and lichen covered old log has many interesting features to observe. #1 - "If I'm quick I can get those other two as well!" #2 - "I have one. Who pinched all the others?" 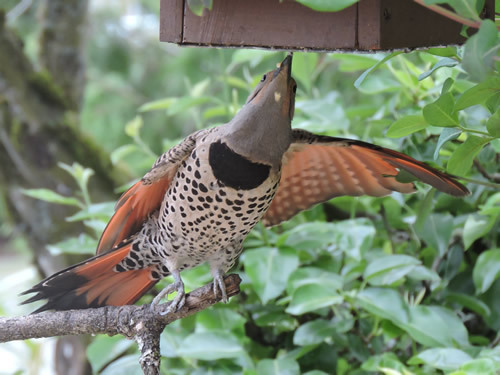 "Us flickers do it the northern way!" Wilfried A. Wenzel sent us this caption for last month's image. The snippet comes from Bob Arsenault in Toronto. 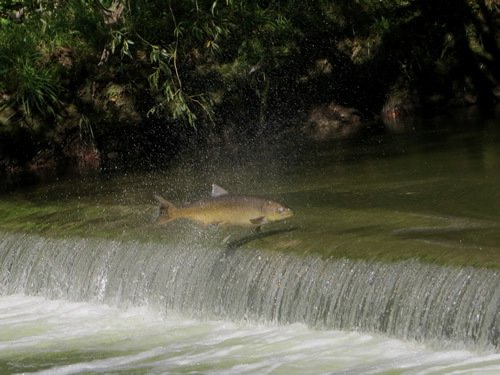 He captured this spectacular shot of a salmon on the Don River in downtown Toronto. There is a beautiful walking path that leads you to this small waterfall. 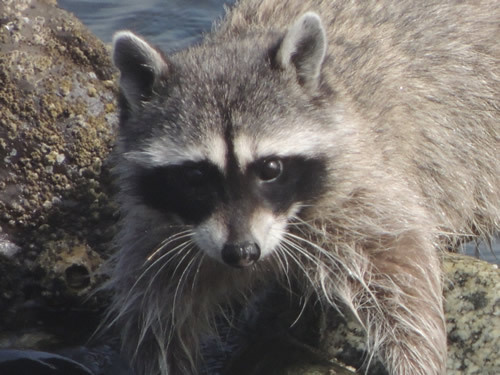 ___A neighbour knocked on Ricky Raccoon's door at 2:30 in the morning. Can you believe that, 2:30 a.m.?! Luckily for him he was still up, as he was practicing playing the bagpipes. "I thought everyone liked the bagpipes?" 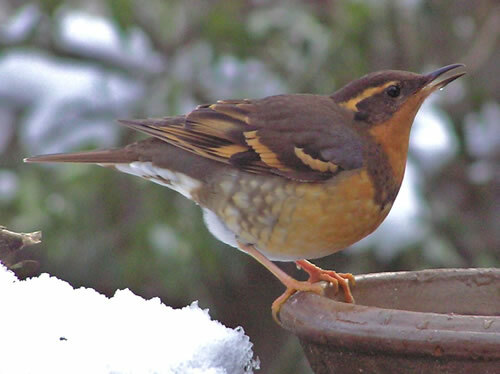 Birds have a hard time finding water on freezing and snow-covered days. Make sure there is fresh water available for them. 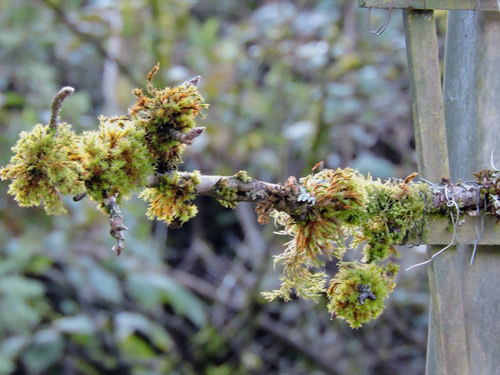 A moss-covered branch secured to a railing near a feeder gives birds a place to wait for their turn. 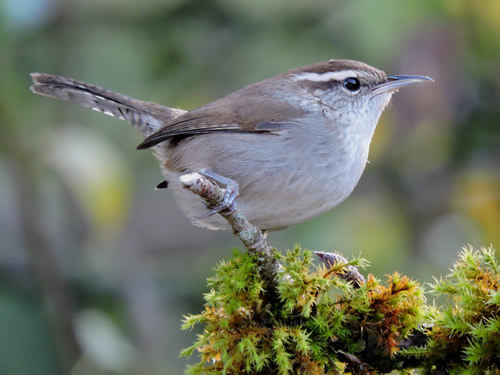 A Bewick's Wren comes into view. 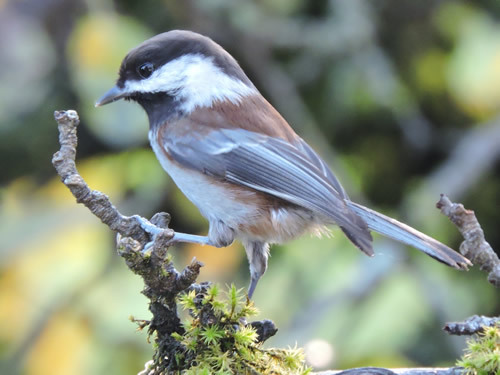 A chickadee is one of the many birds that use this waiting spot. 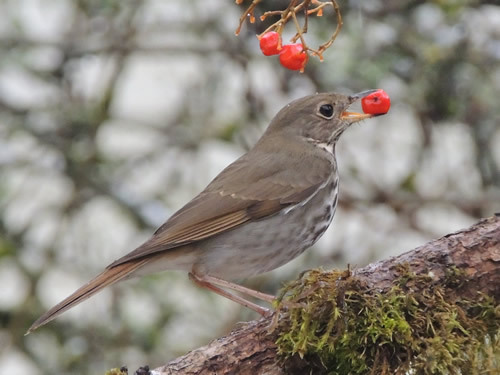 The Christmas Bird Counts are conducted each year between December 14th and January 5th. Click here for more information. 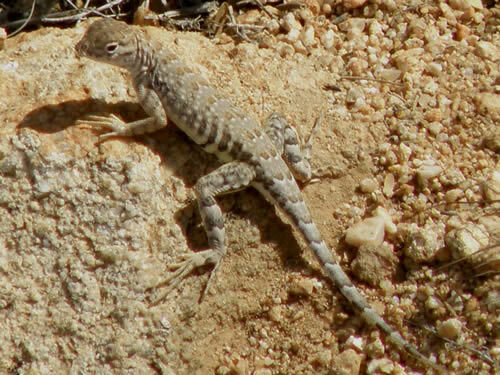 Did you know that some lizards can detach their tails to escape predators? This is called autotomy. The tail will regenerate. 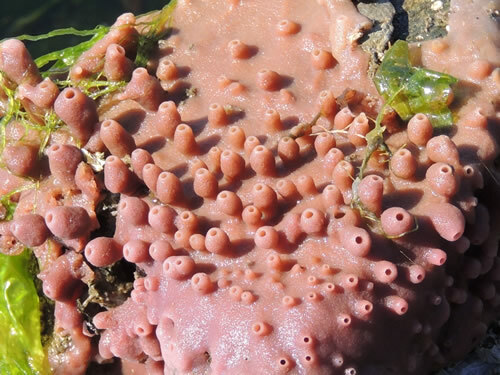 Sea Sponges have none of the above but are living animals. and oxygen as well as remove wastes. 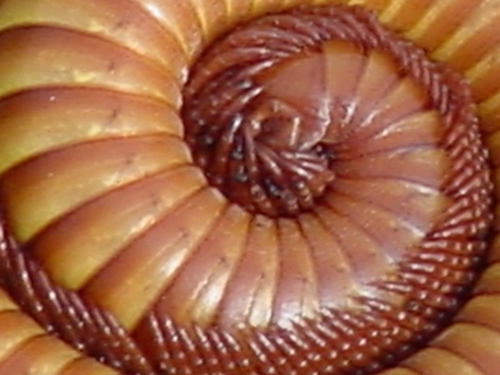 The close up is a giant millipede, Orthoperus ornatus.